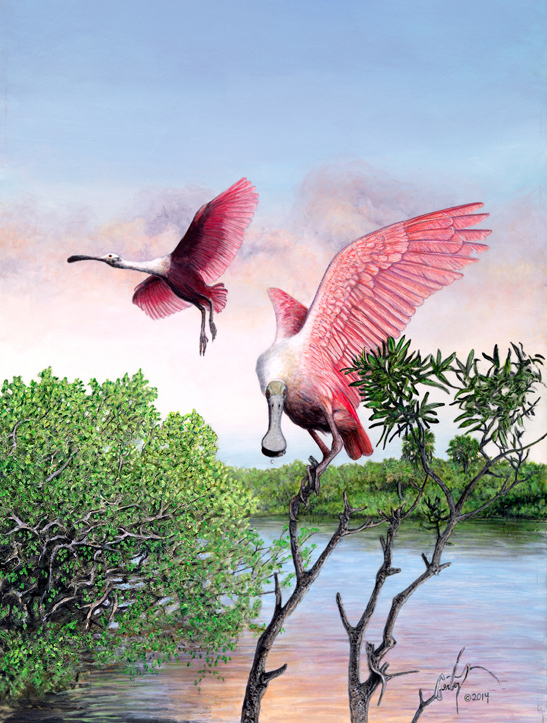 Peter R. Gerbert's "Roseate Dawn "
“This painting was based on some amazing photographs I captured of Roseate Spoonbills up close, in the wild. I love the anatomy and 3/4 turn of the foreground bird. There was a drip of water coming off of the bird's bill; I felt compelled to leave it! Spoonbills like shallow water and the privacy of mangrove swamps, tidal ponds & lagoons; making them a little hard to see. When you do see one, it's always an incredible experience. They have so much character. 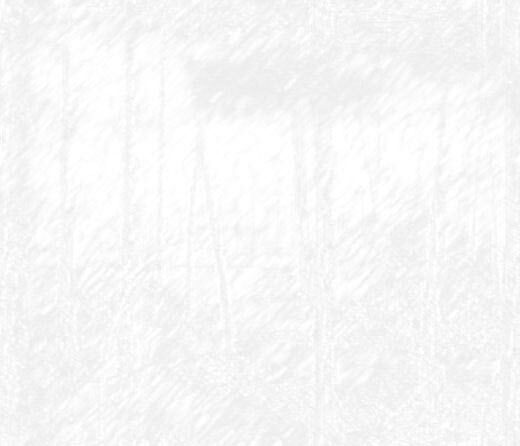 Visit the Canvas Prints & Fine Art Prints sections to see all the art that's available for purchase. 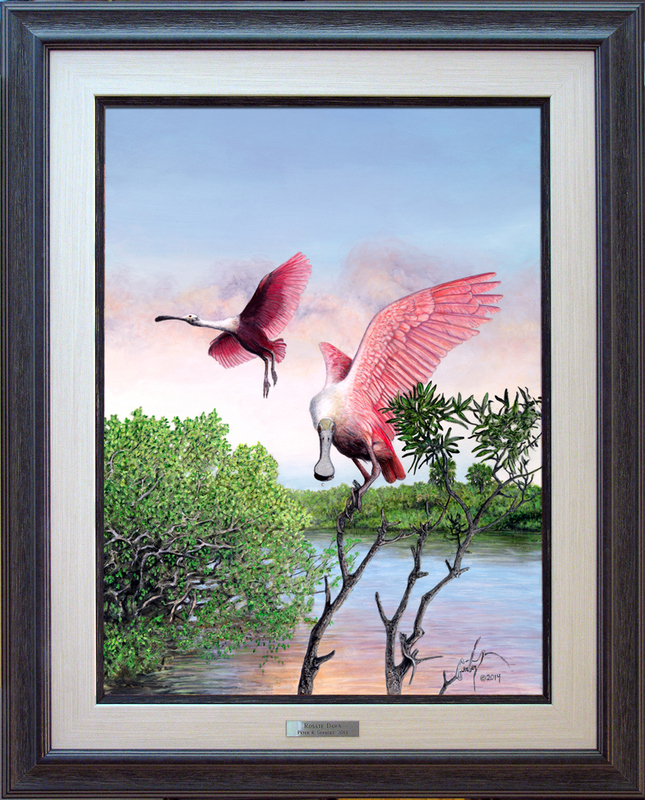 Featured artist of the Florida Wildlife Federation since 1997; a portion of the proceeds from the sale of this artist's Limited Edition Prints directly benefits conservation efforts in Florida.